Memorial services are scheduled for 10 a.m. Friday, Jan. 20, at Terpening & Son Chapel for Robert O. Hartley of Artesia. 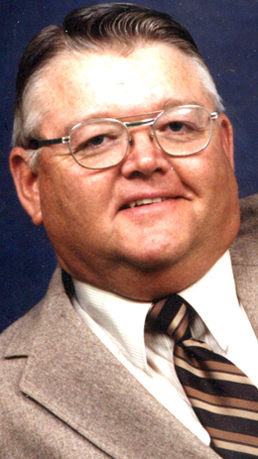 Hartley, 83, passed away Sunday, Jan. 15, 2017, at Lakeview Christian Home in Carlsbad. Jim Barnett will officiate at the services. Cremation has taken place under the direction of Terpening & Son Mortuary. Bob was born Aug. 21, 1933, in Big Spring, Texas, the son of Glen H. and Bessie Elizabeth (Fitzgerald) Hartley. On Nov. 23, 1951, he married Betty June Stanton in Carlsbad. The couple had just celebrated 65 years of love this past November. Bob retired from Marathon Oil Company in 1986 after 33 years of employment. In 1993, Bob and Betty moved to Ozona, Texas, then returned to Artesia in 2012. Bob was an avid hunter and fisherman. He enjoyed spending time with family and the outdoors. Survivors include his wife, Betty, of the family home; daughters Cathy Houghtaling and husband Ronnie, and Karen Kelsey and husband Ed, both of Artesia, Susie Maples and husband Pancho of Roswell, and Karrie Garver of Clifton, Texas; eight grandsons; one granddaughter; 20 great-grandchildren; one great-great-grandson with another due in March 2017; and numerous nieces and nephews. He was preceded in death by his parents; two sisters; and grandson Casey Jo Maples. In lieu of flowers, the family requests memorial contributions be made to a charity of choice.